We have a very large range of different styles of clothes here at Calendar Lady Promotions and amongst these come our School uniform range which includes our School Blazer With Embroidered Logo. Although I hated wearing my School uniform while I was at School, I do believe now that it really does play an important role in concealing classes and maintaining equality amoungst all pupils. I also believe that smart and formal dress is important in encouraging pupils to take pride in themselves and to strive to maintain high standards in all aspects of School life. To find out more about our School Blazer With Embroidered Logo click here and fill in the contact form and we'll get straight back to you. 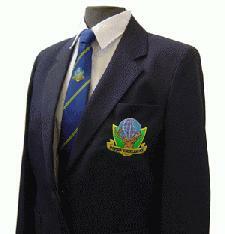 Other promotional and personalised items besides our School Blazer With Embroidered Logo click here.